 PDM University has been established by the P. D. Memorial Religious & Educational Association, Bahadurgarh, which has got an excellent track record of establishing a galaxy of U.G./ P.G. Colleges of Engineering, Dental, Pharmacy, Architecture, Education & Diploma Level Technical Institutions, and is running them very successfully. These Institutions draw students from all parts of the Country and enjoy an extra-ordinary reputation for Educational Innovation and Academic Excellence. The PDM University has been modelled after the best Universities of India. Its main objective is to provide an excellent environment for higher studies, research & innovation. 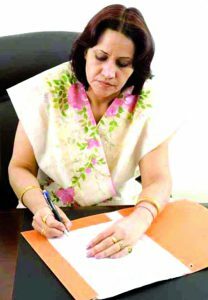 It has introduced various academic programmes & is providing education at the level of U.G., P.G., & Ph.D. The education is a joint venture of the teacher & the taught, in which teacher has to share more responsibility than the students. We believe that only good teachers can transmit higher values to their students through their overall personality. So, we have selected teachers who are acknowledged academicians. They have visionary outlook, outstanding academic qualifications, vast experience, passion for teaching & are also known for their innovative drive. My conviction is that the students must obey their teachers and pursue their studies whole-heartedly. They should maintain strict discipline, do hard work, exhibit dedication, develop scientific temperament and show proper etiquettes in their behaviour with others. I extend my good wishes to all those students who are going to take admission in this University in 2016 and wish them all success in their academic career and future endeavours.